Part of the beauty of specifying Alpha Workshops for a project, is the ability to customize it just about any way you please. The ALPHA MY WAY series will spotlight different designers and their experiences teaming up with Alpha to create exactly what they’re looking for. Up first is the endlessly talented award-winning designer YOUNG HUH and the custom-colored High Line wallpaper used in a Kips Bay Show House, read our Q&A with her below. Why did you choose this design and how did you know you wanted to customize it? 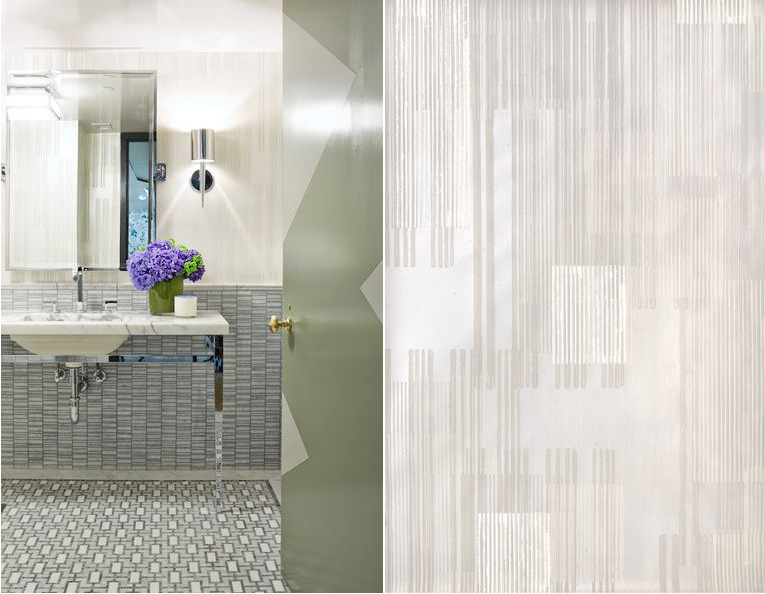 When we were doing Kips Bay, I knew that this bathroom should have a metropolitan, masculine vibe. 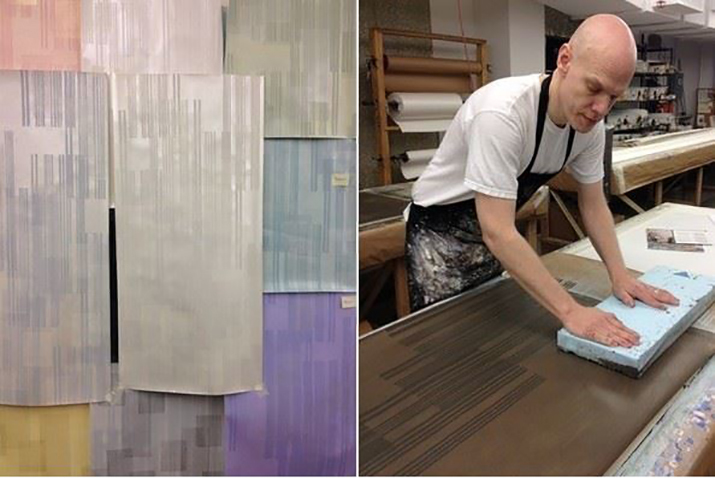 I was the first to preview the “Highline” wallpaper and was excited to launch it into the world in the Kips Bay Showhouse. Learning that I could pretty much customize it any which way I wanted was super exciting! We wanted to pull some of the warm colored veining of the calcutta gold counter top into the room to bring a feeling of warmth and contrast to the overall grey and white scheme. What was it like working with the Alpha team in developing this custom wallpaper and making it exactly what you needed? Oh it was so, so fun!!! How many times in your life do you get to meet with a creative team make something just for you and watch them actually make the wallpaper? It was super exciting and you can do it anytime you want any day! Not just for Kips Bay! How often do you customize pieces for a project? I think high-end design is all about customization. There isn’t a single project where we aren’t creating something no one has ever seen before! Are you more inclined to work with a brand/vendor that offers customization options? Absolutely, absolutely. You want to partner and have a team or creative artisans working alongside you. How else can you be a creative designer? Has the lack of a customization option ever been a roadblock in a project? Sure. Just recently we renovated a client’s home and had to replace some old existing wallpaper that was made in France ages ago. We couldn’t get the paper made again in that color so we turned to alpha to custom make the exact color we wanted. In an age where most people shop off the internet, there are fewer and fewer resources where people can hand make and hand finish things in the way that you want. The fact that a designer can turn to Alpha and feel like you’re Renzo Mongiardino with a team of craftsman, artisans and artists behind you is amazing. I love Alpha!! !